I feel that Robert was very patient with me and a good teacher for the whole class. This Course was very easy to understand. Robert is an excellent teacher; there is know reason you can not learn. He's very patient and communicates clearly and maintains a great positive attitude, keeping all the students pumped up and ready for the new challenges. Thank you so much. I was amazed how much I learned from day to day. 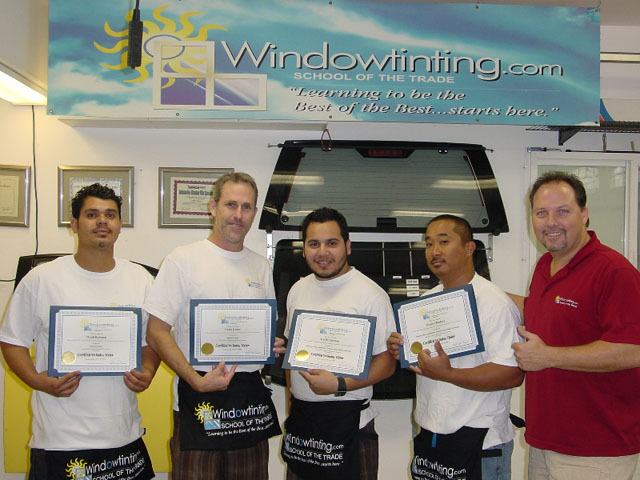 I had no experience at all in window tinting and Robert turned me into a "Tinter." He made learning fun and easy. I highly recommend this course!